If you are not yet promoting your business on Facebook, now is the time to do so! 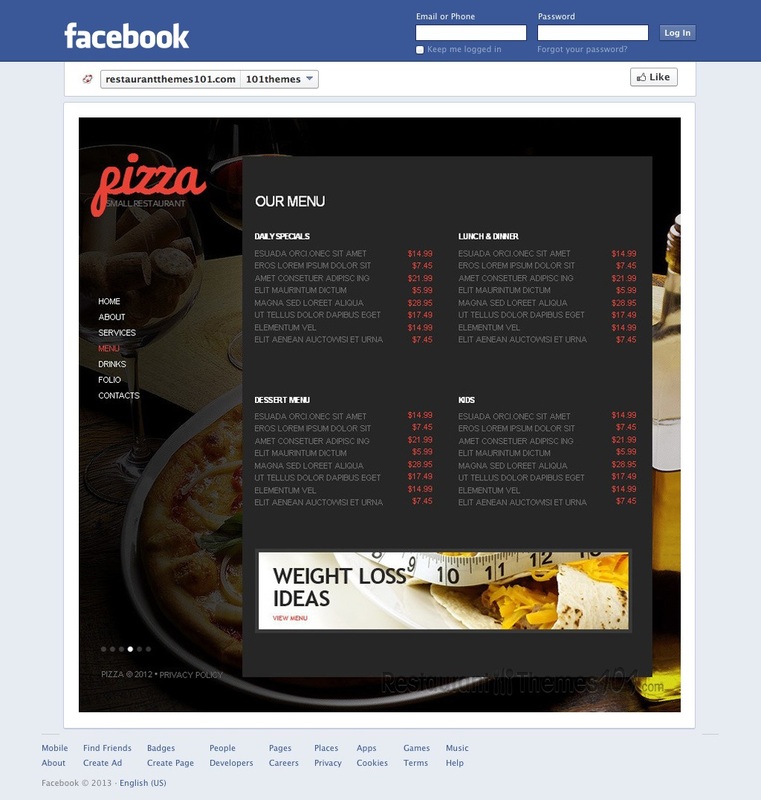 Luckily enough, building a great looking Facebook page is much easier than it used to be. When you use a premade page template, you can have a great page built for your business in just a few minutes! 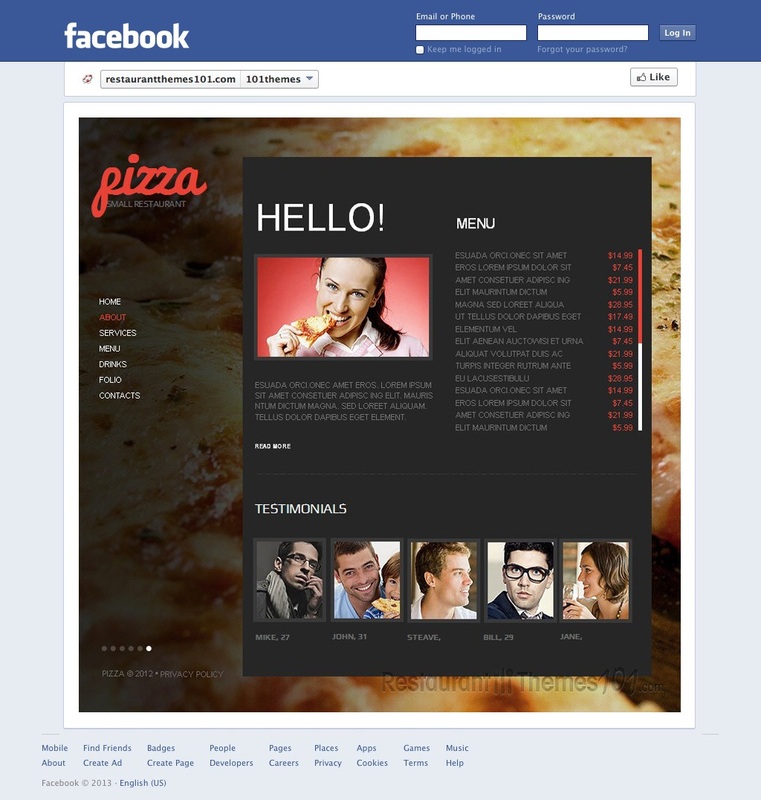 Pizza is a Facebook restaurant page template, developed by Cowboy and available via the Template Monster marketplace. 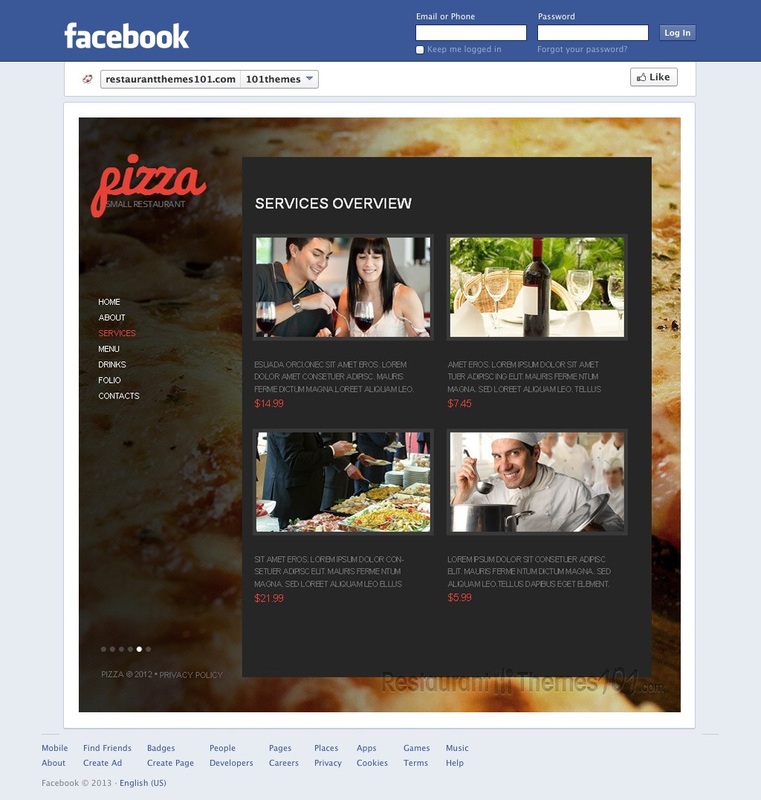 As the name suggests, this template is geared towards pizza restaurants. However, the design is simple enough that it could be used for just about any type of restaurant or café. Pizza is almost entirely picture-based. 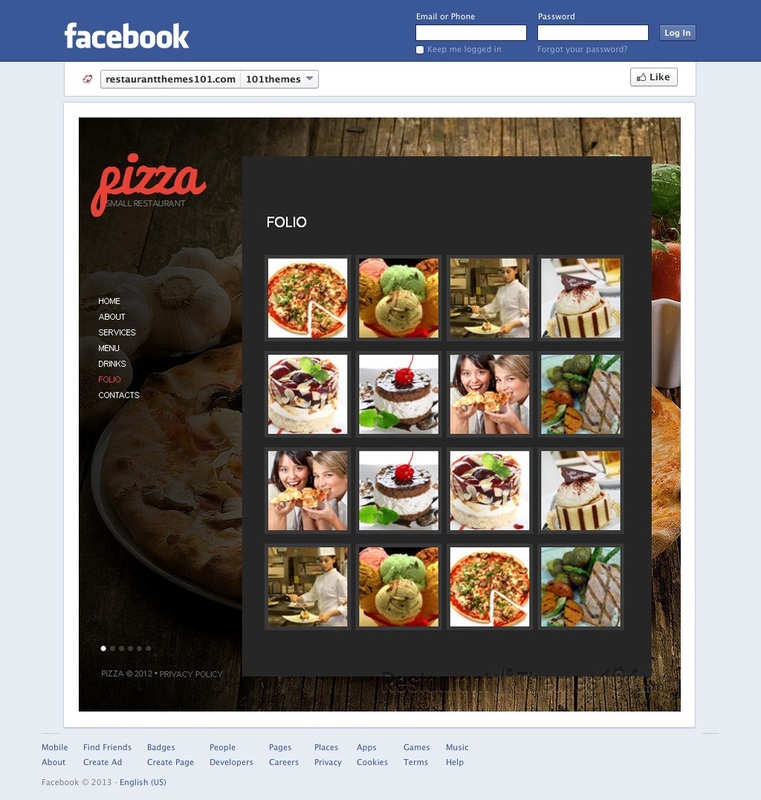 The entire background of this template is a picture slider, where you can upload and host several large pictures, ideally of your delicious meals. This unique design does a lot to set this template apart from most of the competition. It also sticks out in a way that will attract visitors, and more importantly, keep visitors on your page for more than a few seconds. 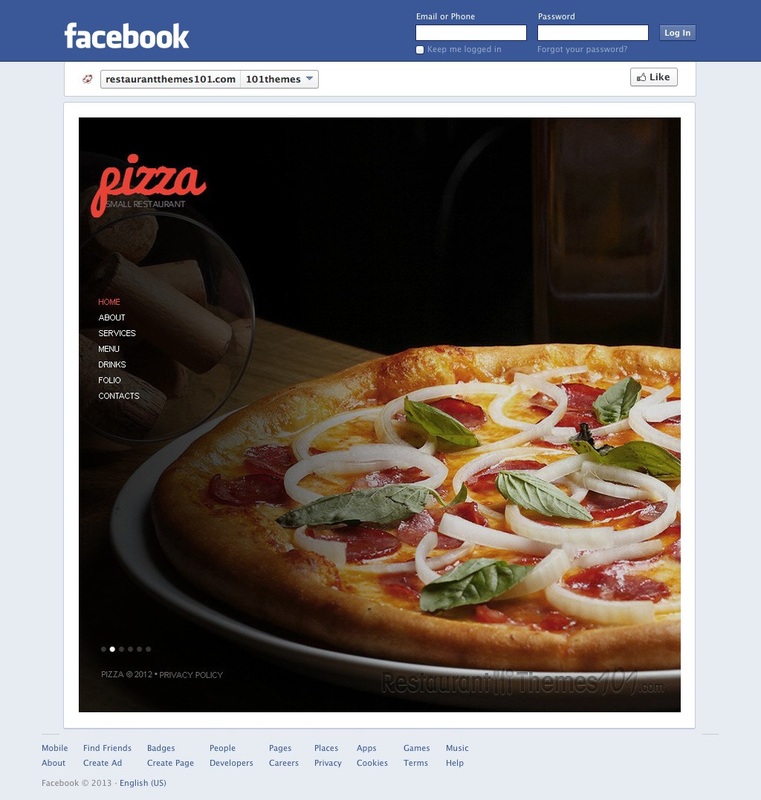 With the help of Pizza, you can build an incredible Facebook restaurant page in just a few minutes. The design, as you can tell from the demo, is ultra simple. It features the large image background slider, with a small text-based menu on the left hand side. And that’s it! This simplistic layout really draws the focus on to your pictures, which should be of the delicious treats you serve! 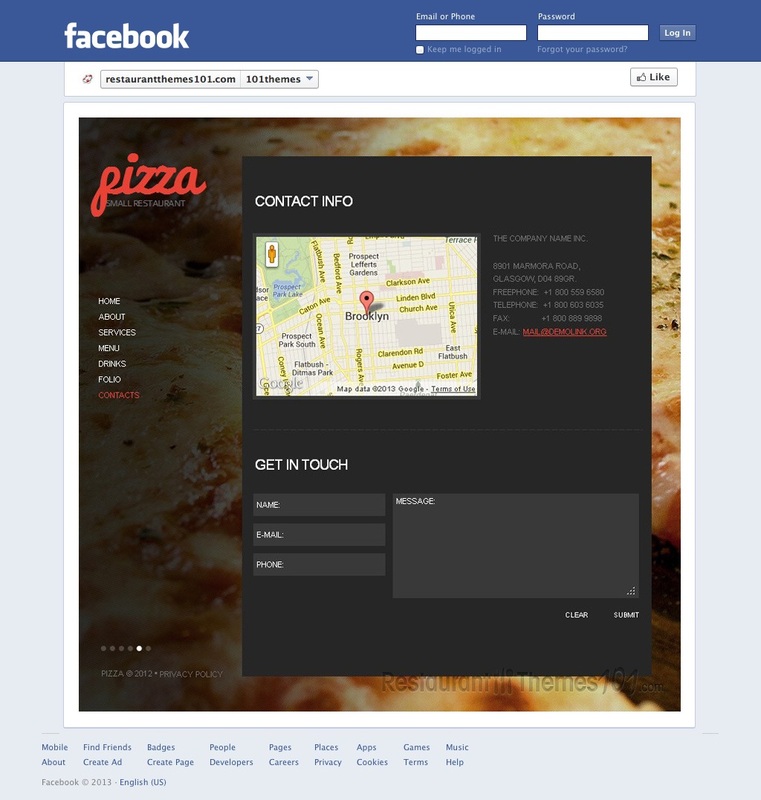 Like most Template Monster Facebook templates, Pizza is powered by Moto CMS. With Moto CMS, you can control everything from a simple control pane that even a novice web user could understand. Everything from adding pictures to customizing links to adding articles can be done through Moto CMS, so you’ll never have to hand-code anything, nor will you have to hire an expensive web developer to help you. 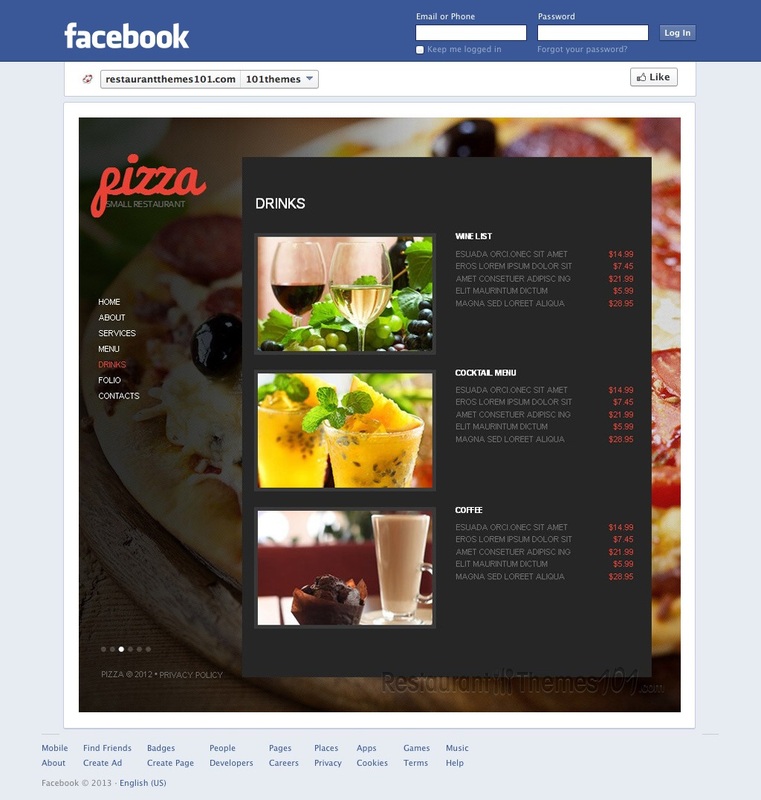 With Pizza and Moto CMS, you can build a great Facebook restaurant page on your own, faster than you would believe!